Although Americans overwhelmingly support nondiscrimination protections for lesbian, gay, bisexual and transgender people, no state has enacted significant new legislation protecting them against discrimination in housing, hiring and public accommodations since 2008, says Robin Fretwell Wilson, the Roger and Stephany Joslin Professor of Law and the director of the Program in Family Law and Policy at the University of Illinois College of Law. 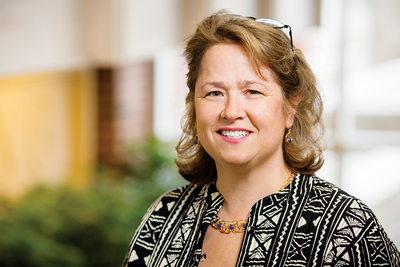 Editor’s note: Robin Fretwell Wilson is the Roger and Stephany Joslin Professor of Law and the director of the Program in Family Law and Policy and the Fairness for All Initiative at the University of Illinois College of Law. Wilson, who recently helped Utah lawmakers pass anti-discrimination legislation that balances religious liberty and LGBT rights, spoke with News Bureau business and law editor Phil Ciciora about LGBT issues and the 2016 election. In 2004, gay marriage was used as wedge issue to drive voters to the polls. Twelve years later, gay marriage is legal and the LGBT movement is surging. What does that say about the state of gay rights in 2016? We’ve come to a precarious moment where the American people overwhelmingly support nondiscrimination protections for LGBT people, but we’ve seen no new protections for the full LGBT community since 2008. That is, no state has enacted new laws protecting lesbian, gay, bisexual and transgender people against discrimination in housing, hiring and public accommodations, although some states have enlarged pre-existing statutes to encompass transgender persons or enacted protections in stages. Other states, like Utah, have provided these important protections in housing and hiring only. For a variety of reasons, many today want to portray gay rights as coming at the expense of religious liberty or more traditional values. Witness the North Carolina bathroom bill, which swept aside a Charlotte ordinance banning discrimination in public accommodations and imposed a rule statewide that forces transgender persons to use the bathroom of their “gender at birth” rather than letting people self-direct to the bathroom that makes sense. As a result, this has caused a great deal of economic woe for the people of North Carolina with, most recently, the NCAA’s decision to remove all championship events from North Carolina for the 2016-17 academic year. What these two phenomena show is that equality advocates and equality opponents are both in “blocking positions” and can frustrate efforts at enacting sensible laws. The U.S. Commission on Civil Rights recently released its report on religious freedom and nondiscrimination. What were its conclusions? Like so many in this political climate and election season, the report implicitly pits equality against religious liberty. Yet we know that equality and religious liberty can go hand-in-hand, with one community advancing the legitimate interests and concerns of the other. The way forward is to marry these two interests so that both communities enjoy as much freedom as possible and are treated with dignity and respect. How will LGBT issues factor into the 2016 election cycle? Will bathroom bills be the LGBT issue that shapes the 2016 election? North Carolina-style laws directing people to the bathroom of their birth are indeed being used to drive voter turnout. These laws are self-defeating and raise the very public safety concerns that opponents of LGBT protections claim they want to avoid. For example, a person born as a woman who transitions to be a man is forced under North Carolina’s law into the women’s restroom, even though he physically presents as a man and experiences his life as a man. For many, encountering a person who outwardly and visibly appears to be a man in the women’s restroom is far more likely to cause distress than allowing the transgender person to self-direct, which has worked reasonably well for years. In other words, transgender people have existed and used public restrooms without any trouble whatsoever until these misguided laws attempted to regulate who uses what bathroom. There is a second aspect regarding public safety that we have sadly overlooked: the safety of transgender people themselves. Imagine the gender-queer person who sometimes presents as a woman and sometimes presents as a man, but was physically born a male. When this person, outwardly appearing indistinguishable from any other woman, is forced into the men’s restroom, that is a dangerous and scary place for that person to be. Imagine, too, the embarrassment that accompanies actual enforcement of a bathroom-of-your-birth law. In April, a 54-year-old North Carolina woman was mistakenly believed to be a transgender man and publicly ejected from the women’s restroom at a movie theater in Charlotte. Any person, transgender or otherwise, would feel humiliated over being handcuffed at a movie theater simply for using a public restroom. And yet the bathroom narrative is being splashed across billboards in states considering reasonable nondiscrimination laws during this election season as a way to stall all progress around protections for the LGBT community, even when those laws deal only with housing and hiring. This attention to bathrooms has motivated the LGBT community to fight not only for housing and hiring protections, but for public accommodations as well. State legislators are already struggling to enact concrete and tangible, albeit incremental, protections for LGBT persons against discrimination when renting an apartment or getting a job. These contrary positions put legislators in a vise. Time will tell whether legislators are able to forge reasonable laws once Nov. 8 comes and goes. Editor’s note: To contact Robin Fretwell Wilson, call 540-958-1389; email wils@illinois.edu.